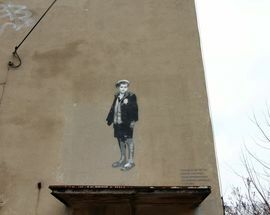 Just 1 of 27 'Children of Bałuty' Murals, this one is at Radegast Station. By the time Hitler launched his depraved campaign to expand Germany’s borders, the Jewish population of Łódź stood at 233,000 – approximately one-third of the town’s inhabitants, and a figure only surpassed by the capital, Warsaw. To trace the beginnings of Łódź’s Jewish heritage one must go back to the mid-18th century, a time when Łódź was little more than a sleepy hamlet. A census taken in 1793 noted the presence of eleven Jews out of a population that numbered 190, a figure that was to rise to 98 by 1809. 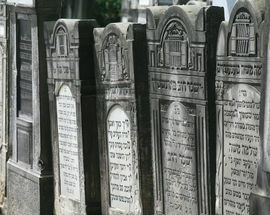 It was to prove a key time for Łódź’s Jews, with the town’s first synagogue built that same year, and a cemetery on ul. Rybna unveiled in 1811. 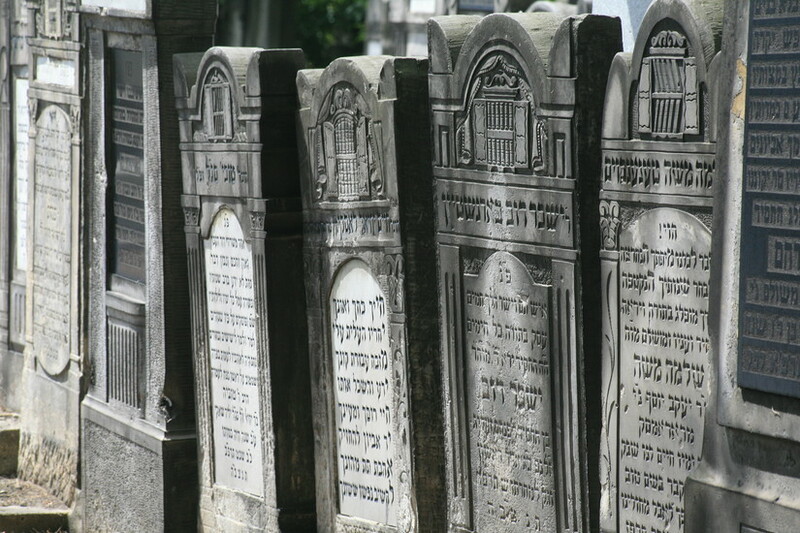 Things were moving fast, not just for the Jewish community but for the town itself. Philosopher, writer and statesman Stanisław Staszic had long been campaigning to turn Łódź into a centre of manufacturing, and 1825 saw his ambitions come to life with the opening of the first cotton mill. The idea caught on, and within the next few years factories were springing up across Łódź like a rash of blackened toadstools. Waves of migrants followed the money, including German, Russian, and Portuguese workers. But none of those groups matched the numbers of the Jews. 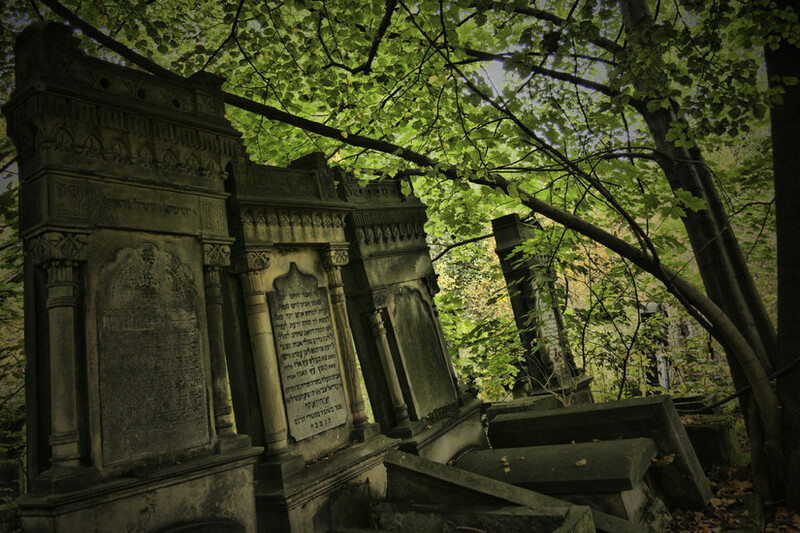 By the 1840s over one-fifth of the city’s population was Jewish, and this would grow once more when in 1862 laws requiring Jews to live in the north of the city were repealed. 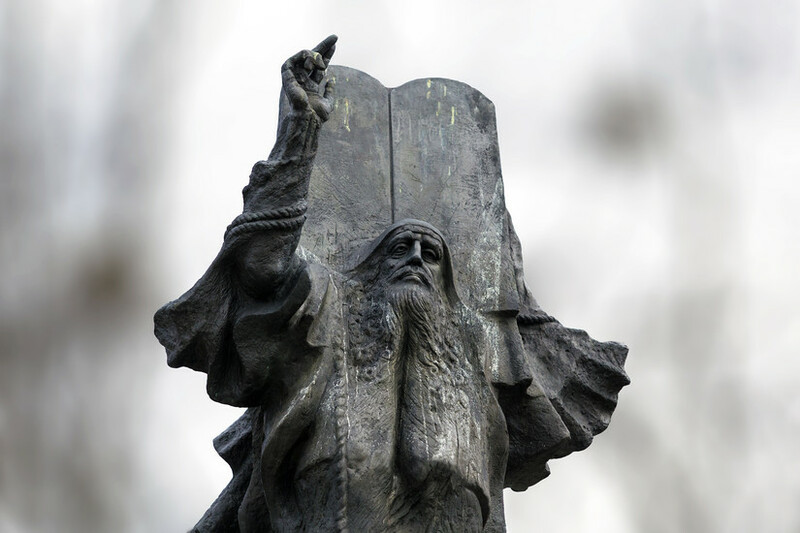 Regardless, most Jews remained based around the Bałuty area where cultural and religious life thrived; in the years leading up to the war Łódź could count 80 prayer houses, 31 Jewish primary schools, at least five newspapers and numerous theatre and exhibition spaces. This world came crashing down on September 1,1939, with the news that the Nazis had launched their invasion of Poland. Within eight days the city’s streets reverberated with the sound of jackboots, the triumphant Nazis greeted as heroes and liberators by the ethnic Germans of Łódź. Almost immediately the Nazis set about imposing restrictions on the Jews: on September 18th a decree was issued prohibiting the withdrawal of more than 250zł per week from bank accounts, and over the course of the next month Jewish businesses were forcibly signed over to the Germans. Persecution gathered pace following Himmler’s visit on October 28 – in the week that followed the city’s main artery, ulica Piotrkowska, was made off-limits to Jews, and scores of intellectuals were rounded up before being executed in the Łagiewnicki Forest. Then, on November 9, the decision was taken to absorb Łódź into the Reich, thereby leaving it under the command of committed Nazi Artur Greiser. 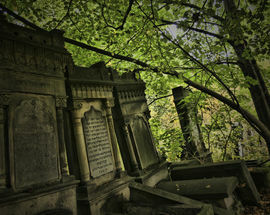 The terror escalated yet further, and within days synagogues were alight and bodies hanging in the street. On November 14 a curfew was imposed on Jews, and for the first time anywhere in the Third Reich Jews were compelled to wear a Star of David on their arm – failure to do so was punishable by death. The New Year brought with it a fresh set of trials. On February 8, 1940, newspapers broke the news that Jews would be resettled in a separate ghetto in Bałuty. After two months of transition the area was sealed on April 30, 1940, following the completion of a barbed wire wall surrounding the area. No one except a few authorised officials could get in or out, and approaching the wall from either side brought instant death from a guard’s bullet. Conditions inside the ghetto were poor - Jews lived an average 3.5 people to a room - though not nearly as bad as in the smaller and more crowded Warsaw or Krakow ghettos. Jews were also left more or less in peace for the early months of the ghetto’s existence, after the Nazis appointed Chaim Mordechai Rumkowski – a prominent Jewish businessman – to run the ghetto on their behalf. 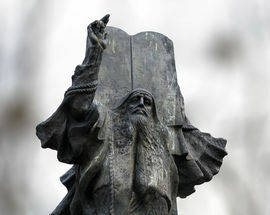 He was given the pompous title Judenälteste (Elder of the Jews) and Rumkowski remains a controversial figure to this day. For a start few people know why he in particular was chosen by the Nazis to run the ghetto, and whispers seem to indicate he either bought or scammed his way into the position. Yet he began well: he tried to preserve as much normality as possible, setting up schools, a bureaucracy, printing ghetto money (which bore his image) and constructing a rudimentary sewage system. He also convinced the Germans to provide raw materials for the ghetto’s factories: the goods made at these factories were then bartered back to the Germans in exchange for food. No other ghetto in the Third Reich survived as long as the one in Łódź, but ultimately Rumkowski’s spurious efforts to ensure survival were to prove futile. 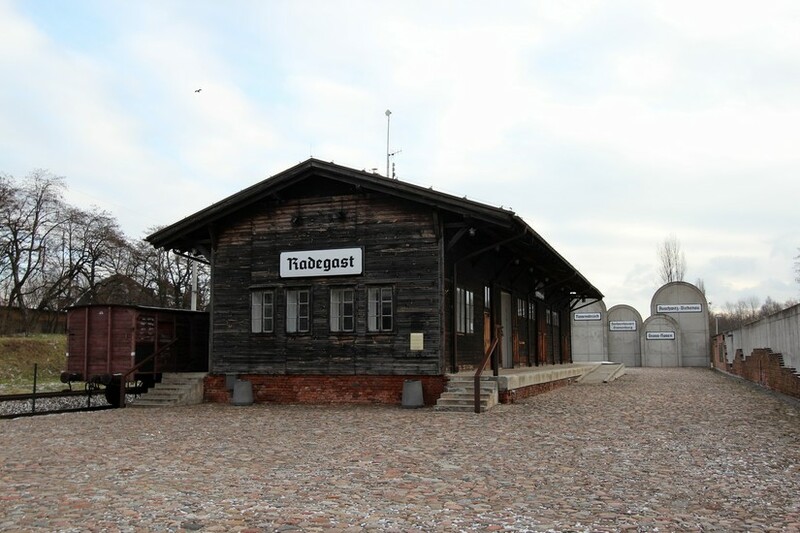 In May 1944 Heinrich Himmler ordered the liquidation of the Łódź Ghetto, and over the course of the next few months the last 77,000 Jews were loaded into cattle waggons and sent to the gas chambers of Chełmno, Nerem and Auschwitz. 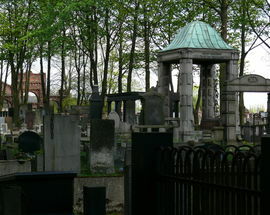 Rumkowski left on the penultimate transport to Auschwitz, and according to some accounts was burned alive in a crematorium by workers who had recognised him. Historical records suggest that 5,000 - 12,000 ghetto habitants survived to see the end of the war. Many Jews who survived the Holocaust descended on Łódź at the end of the war and a new, thriving community sprang up. Though there were two major waves of state-sponsored emigration to Israel (in 1948 and 1957-8) there remains a thriving Jewish community of around 5,000 people in the city, primarily based around the synagogue on ul. Pomorska 18. Of all Poland’s cities, few have been as understanding and remorseful as Łódź when dealing with the legacies of the Holocaust. 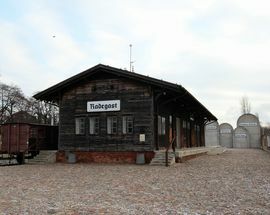 The Łódź Ghetto was one of the largest Jewish ghettos set up in Nazi-controlled Europe. 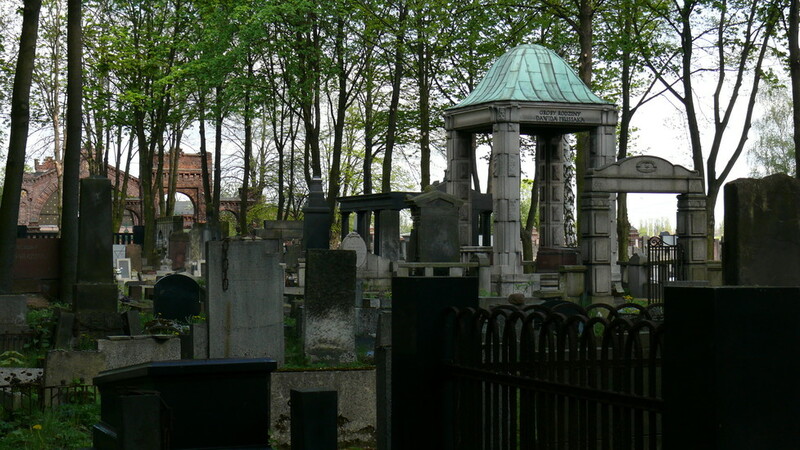 It stretched over much of the north-central part of the city, comprising the area north of Staromiejski Park (Old Łódź), and out as far as the Jewish Cemetery to the east of the city. The area was chosen to host the ghetto as most of the city’s Jews already lived in the district; indeed - as opposed to Kraków or Warsaw – there was little swapping of homes that fell on the wrong side of the wall between Jews and gentiles. 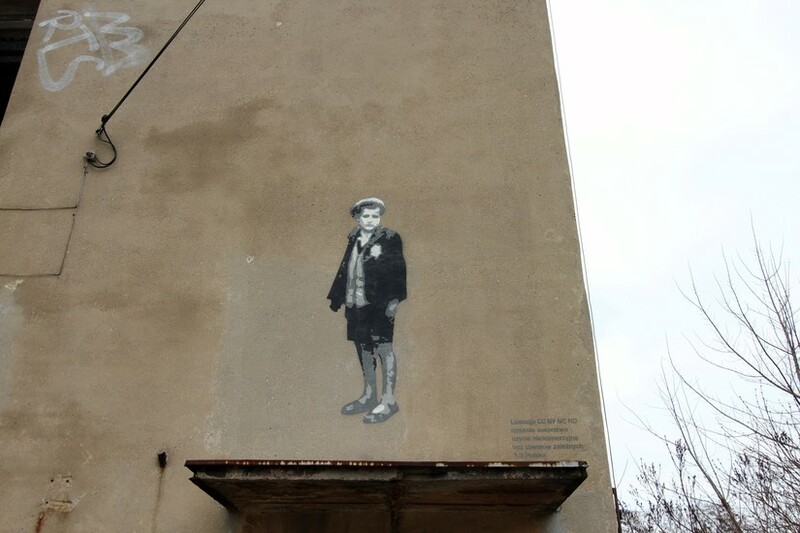 The Łódź Ghetto is also commonly known as the Litzmannstadt Ghetto – on May 5, 1940 the city of Łódź was renamed 'Litzmannstadt' in honour of the German general who (unsuccessfully) attempted to occupy Łódź in World War I. The area which once formed the ghetto is today covered with Socialist Realist leftovers, as well as whole swathes of buildings that seemingly haven’t seen a lick of paint since the Germans left. It’s a real rundown part of the city, and frankly you’d be advised to keep the camera hidden. On the plus side, the intrepid explorer will be rewarded by a moving trip back in time. Filled with forgotten courtyards and derelict doorways, it’s not hard to feel the ghosts of the past as you walk the streets of Łódź’s now silent Jewish quarter. Before setting off it’s worth bearing in mind a couple of points: firstly, you will be covering a distance of approximately ten kilometres, so it’s probably best not to attempt this in the middle of summer with a computer bag strapped to you. Finally, while it is often suggested to start at the Rynek before concluding your tour at Radegast Station (the train station where Jews were deported) - a logical route for those who wish to follow the chronological history of the ghetto - it’s certainly not the most practical. Radegast is in the middle of nowhere, so to get the most out of your day we suggest starting the tour here by taking tram no.6 from stop Piotrkowska Centrum (or anywhere along Al. Kościuszki and ul. Zachodnia street, which run parallel to Piotrkowska street) to the end of the line at Doły, a journey of roughly 30 mins. The tram journey alone takes you through the district of Bałuty, giving you a feel for the area - this is also the same route you will follow back during the tour, and handy if you get tired of walking; just jump back on the tram and continue with the tour or return to the city centre. Once at Doły, continue along ul. Strykowska and turn left onto ul. Inflancka (crossing the road). Keep to your right until you see the signs and path leading to Radegast. Visit Warsaw, Wrocław, Wycombe even, and you’ll find countless examples of literary mastery to aid your enjoyment of the city. Not so in Łódź, where a trip to tourist information will reveal just a handful of pamphlets written in your chosen tongue. So it’s fortunate that what little exists is actually rather fab. One author in particular has nailed the market, and that’s local journalist Joanna Podolska who has a clear passion for the city. There’s two books of note here. 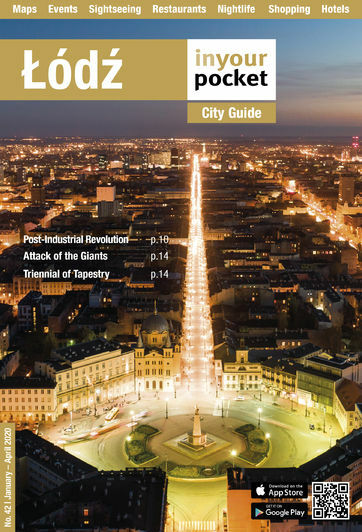 First up, there’s Łódź – The Golden Book, a glossy A-4 size effort that retails for approximately 37zł. Presented inside are all the key sights accompanied by a thorough commentary that will plug all the gaps in your knowledge. The photography here is superb as well, with several close-up shots of Piotrkowska facades as well as old archive material such as postcards of pre-war Jewish Łódź. It’s Jewish history that particularly interests Podolska and that’s the subject of her second book, Traces of the Litzmannstadt-Ghetto. As the title suggests, this diary-sized book takes readers on a step-by-step tour of the Jewish Ghetto with detailed commentaries complemented by black and white photographs snapped by ghetto chroniclers. Put simply this is an absolute must-have and the finest work you’ll find on this chapter in the history of Łódź. Best of all, it’s yours for 34zł. By Podolska’s own admission it’s still very much a work in progress, so keep your eyes peeled for re-prints and updates. Finding these books, however, can be a bit of a battle. Fortunately you can nab both at the centrally located Bookshop at Stary Rynek 1.